helped me mow yesterday. Within 5 minutes of starting the mower, they show up. I don't know from where they come but it has been like clockwork for years now. Start the mower, feed the egrets. They have their favorite spots in the yard that they wait for me to mow. 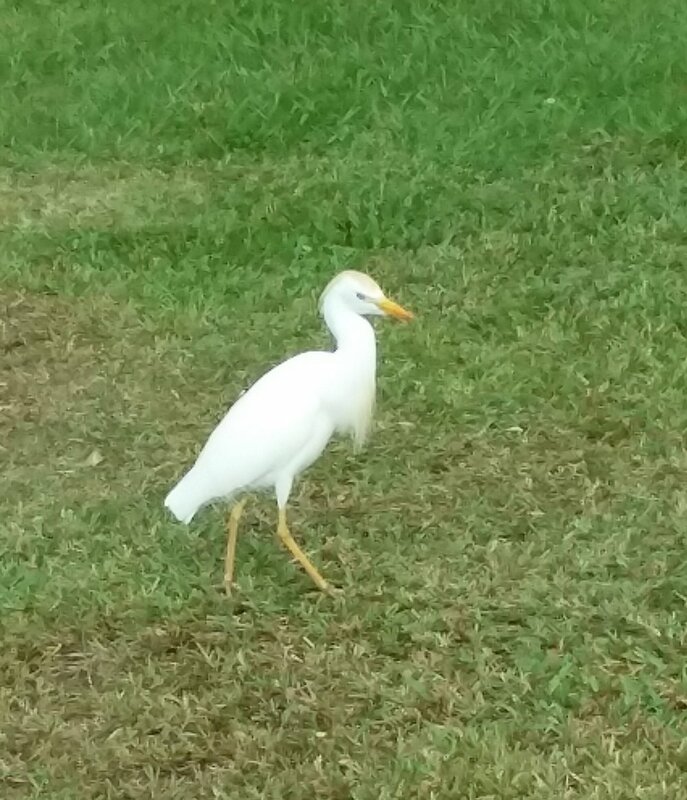 When I move to the side yard to mow usually only a couple of the egrets come over. The egrets used to be very territorial, if a chicken came into their favorite area they would chase the chicken out. But they seem to have come to an understanding and they share. Then we have the magpie area which is more on the lower end of the yard. It is hard to get a good picture of them becasue they are contantly moving. If I stop and turn off the mower, they leave. With mowing the yard taking 3 hours, I have a lot of time to watch egrets and solve problems.